With the 16 gauge shotgun, you have the perfect segway between the 12 gauge and the 20 gauge. Many people say it carries like a 20 gauge but hits like a 12 gauge. 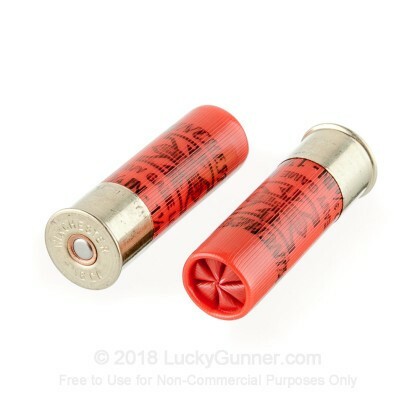 If you need the power and energy of the 12 gauge, but prefer a lighter recoil, the 16 gauge is the perfect option for you. Founded in 1866, this time tested company has provided generation after generation with the excellent ammunition they need. Winchester's ammo is made in America using high quality components. The Super-X line is designed to deliver reliable performance with out a huge price tag. Each shell in this case of 250 measures 2-3/4" in length and carries a 1-1/8 ounce payload of #6 shot. These Super-x shells feature high brass hulls for added velocity and power. 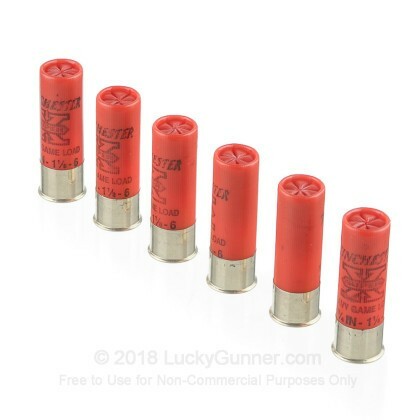 Achieving a muzzle velocity of 1,295 feet per second, these shells are perfect for small upland game hunting where lead shot is permitted. 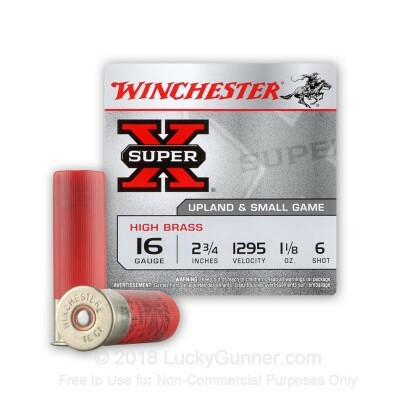 Pick up this bulk case of Super-X 16 gauge ammunition today! 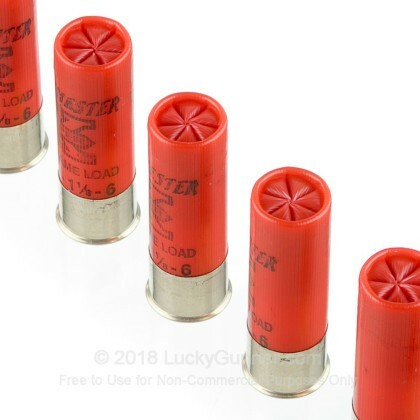 We don't have any reviews yet for this particular 16 Gauge ammo from Winchester. 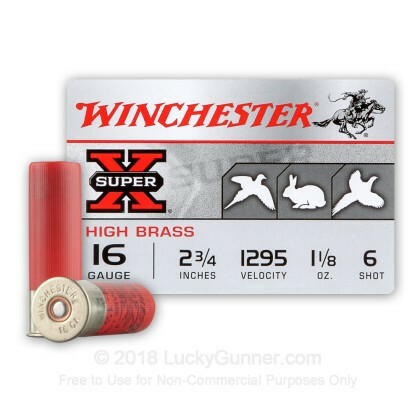 If you'd like to be the first to review this particular 16 Gauge ammo from Winchester, fill out the form below. We also have this 16 Gauge - 2-3/4" 1-1/8oz. 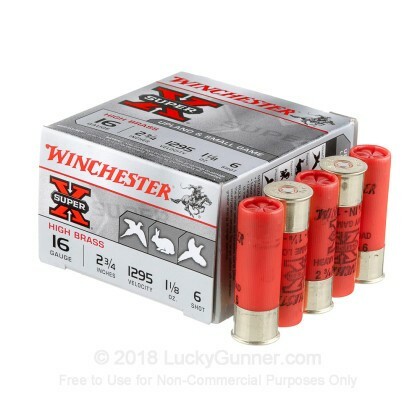 #6 Shot - Winchester Super-X - 25 Rounds ammo in stock in a smaller quantity.